KANSAS CITY, Mo. 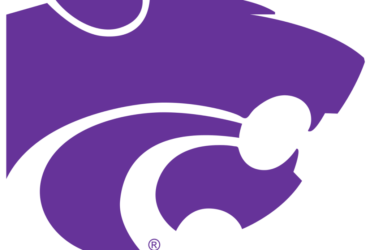 – Four Wildcats scored in double-figures, including a team-high 16 points from sophomore forward Makol Mawien, as Kansas State held on in overtime to defeat TCU, 66-64, in the quarterfinals of the Phillips 66 Big 12 Championship at the Sprint Center on Thursday. K-State (22-10) now advances to the semifinals for the second consecutive season where the Wildcats will face top-ranked Kansas (25-7) at 6 p.m., CT on Friday evening at the Sprint Center. The squad lost both matchups to the Jayhawks in the regular season and have lost 12 straight in the series at the Big Eight/12 Championship. Behind Mawien’s game-high 16 points, the Wildcats overcame a 9-point second half-deficit behind the strength of an 8-0 run to take the lead at 55-53 with 4:24 remaining. The back-and-forth battle saw 14 lead changes and 13 ties throughout the game’s entirety, as K-State was able to outscore TCU, 7-5, in the overtime period to claim its first overtime win since 2015, snapping a three-game losing skid. Mawien led four scorers in double-digits, including 12 points from junior forward Dean Wade and sophomore forward Xavier Sneed and 11 points from junior guard Barry Brown, Jr. Mawien’s 16 points marks the eighth time this season he has scored in double figures, as the Wildcats moved to 8-0 when he scores 10 or more points. As a team, the Wildcats connected on 46.4 percent (26-of-56) in the game, including 17 points off of 14 Horned Frog turnovers. TCU, which was averaging 83.6 points per game this season, was held to less than 70 points for the third time this season on 46.3 percent (25-of-54) shooting. TCU (21-11) was led by senior guard Kenrich Williams, who collected a double-double with a game-high 20 points on 8-of-15 field goals to with a game-best 10 rebounds in 43 minutes. Junior guard Alex Robinson scored 16 points on 6-of-15 shooting to go with a game-high 6 assists and 3 steals in 42 minutes. Both teams got off to a hot start in the opening game of the quarterfinal round, as each team connected on four of their first five shots. Sophomore guard Xavier Sneed got the scoring started with a 3-pointer, which was immediately matched by TCU senior guard Kenrich Williams. After a pair of opening threes from each team, the Wildcats went inside to Mawien, who scored four of the team’s first seven points. Five minutes in, the score was close at 12-11, TCU’s lead. K-State would reclaim the advantage minutes later, as junior guard Barry Brown, Jr., found freshman forward Levi Stockard II in the paint for a layup to bring the score to 13-12. The lay-in by Stockard ended a scoring drought of over three minutes for both teams after an early scoring run. With under six minutes remaining in the half, junior forward Dean Wade had the hot hand for the Wildcats, scoring seven consecutive points for the Wildcats to give them the edge. With 5:28 remaining, Wade got the scoring streak started with a 3-pointer assisted by redshirt freshman guard Cartier Diarra. He continued to score by connecting on two-straight mid-range jump shots to bring the score to 26-24 with 3:36 remaining. Wade led the Wildcats with 9 points on 4-of-7 shooting from the field at the half. It was a tightly contested first-half affair for both teams, as neither team was able to gain a substantial advantage, as the score was tied 30-30 at halftime. Sneed brought the game to a tie just before the buzzer, connecting on a jumper with 5 seconds remaining on an assist from Diarra. Diarra led the game with 4 assists at halftime. K-State shot 48.2 percent (14-of-29) from the field in the first half, while TCU hit on 51.8 percent (14-of-27). The Wildcats forced the Horned Frogs into 7 turnovers in the first half, while only committing 4 turnovers, as Sneed and Wade each tallied 2 steals. Despite the tight first-half, TCU was able to pull ahead in the opening minutes of the second half behind the strength of an 11-0 run, to grab its largest lead of the game at 9 points, at 43-34 with 14:53 remaining in the game. With under seven minutes to play, the Wildcats fought back behind the strength of their defense to bring the score to within 53-51 a pair of Sneed free throws with 6:07 to play. On the next offensive possession, Diarra was able to knot the game up at 53-53 on a drive to the basket that resulted in a layup. K-State would later cap off an 8-0 run on a dunk by Brown to take a 55-53 lead over TCU with 4:24 to go. With a one-point lead with only one-minute remaining, Mawien scored on a lay-in that was ruled basket interference, after a TCU defender interfered inside the cylinder of the rim. The Wildcats held a 59-56 lead with 52 seconds remaining. After a missed jumper from Brown, TCU responded with a dramatic 3-pointer at the buzzer from sophomore guard Desmond Bane. Upon review the 3-pointer counted and the teams headed into overtime tied at 59-all. In the overtime period, the Wildcats went back to Sneed, who scored the first points in overtime for the Wildcats. Sneed would later finish with 13 points, marking the 19th time this year Sneed has scored in double digits. After a free-throw from Diarra, K-State possessed a two-point lead at 64-62 with 2:07 remaining. TCU would respond with a pair of free throws to tie the game back up at 64-64 with 1:03 remaining. With 34 seconds remaining and the ball in possession of the Wildcats, Brown scored on a drive to bring the lead 66-64 with only 11 seconds remaining. With the game on the line, TCU junior guard Alex Robinson drew a foul on Mawien with 1.3 seconds remaining. Trailing by two, Robinson missed both of his free throws, including an attempt on intentionally missing the second, as Sneed secured the rebound and the Wildcats held on for a 66-64 victory. K-State connected on 46.4 percent (26-of-56) in the game, including 17 points off of turnovers, while TCU shot 46.2 percent (25-of-54) from the floor, including 0-of-4 in the overtime period. Makol Mawien – Sophomore forward Makol Mawien scored a game-high 16 points on 6-of-7 from the field and 4-4 from the free throw line, paired with 9 rebounds to lead the Wildcats to an overtime victory. Mawien’s 16 points marks his eighth double-digit scoring effort this season. The Wildcats are now 8-0 when Mawien scores 10 points or more this season. 69 points or less – K-State held TCU to less 70 points for the third time this season, as the Horned Frogs scored just 64 points on 46.3 percent shooting, including 41.2 percent from 3-point range. The Wildcats are now 101-28 under head coach Bruce Weber when the team holds an opponent to 69 points or less, including 15-3 this season.